•Colour varies from yellow to olive green, to light brown or grey with lighter undersides. •Mouth is surrounded by three sets of barbels. 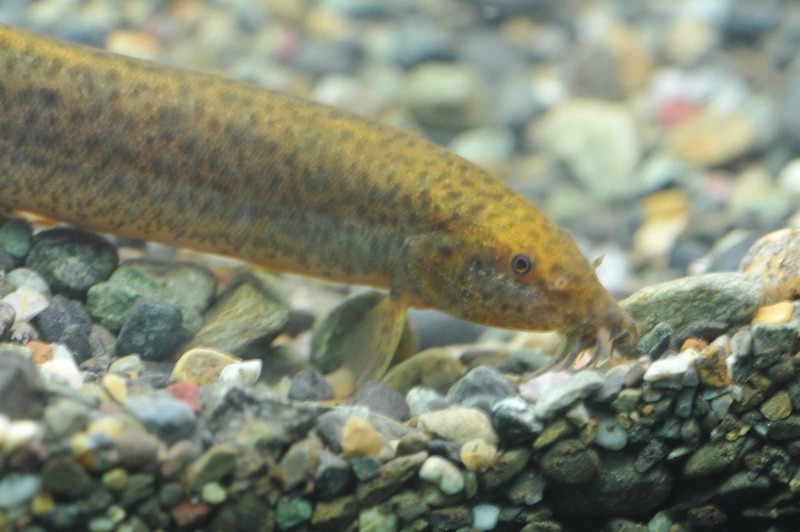 •Feed on algae, detritus and invertebrates, using the barbels around their mouth to sift through silt or pebbles to find prey. •May reach 30 cm in length and live more than 15 years. •Can survive short periods of desiccation by secreting mucous over their body to prevent water loss. •They can swallow air and absorb oxygen through their gut. •Found in slow moving rivers and in lakes, ponds, sloughs, and ditches. •Can survive in very poor quality water with low oxygen and high temperature. •A common aquarium fish and also a food fish in Asia.